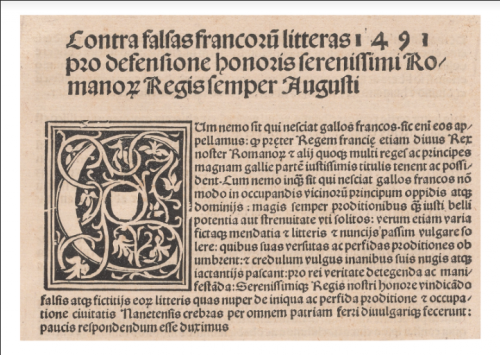 This data set records all known war manifestos issued by sovereigns between 1492 and 1945. These manifestos were collected, analyzed, and coded by a research team at Yale Law School studying the various categories of claims used to justify resort to war throughout history. Oona A. Hathaway, William Holste, Scott J. Shapiro, Jacqueline Van De Velde, Lisa Wang, War Manifestos Database (2017), http://documents.law.yale.edu/manifestos. Users may also wish to reference the following article, which describes war manifestos in detail: Oona A. Hathaway, William Holste, Scott J. Shapiro, Jacqueline Van De Velde, Lisa Wang, War Manifestos, 85 U. Chi. L. Rev. 1139 (2018). This data set contains the list of war manifestos collected and analyzed by the War Manifestos Project. The data set identifies the year the manifesto was issued; name of the manifesto; issuing sovereign; receiving sovereign; and related conflict or war. It also identifies whether the manifesto is a manifesto, counter-manifesto, or quasi-manifesto, as defined below. The War Manifestos project includes a war manifesto issued between 1492 and 1945 if it meets the following criteria: a manifesto is a (1) public document (2) issued by a sovereign (3) against another sovereign (4) containing the reasons for going to war. A counter-manifesto is a manifesto that meets these criteria and is issued in direct response to an earlier manifesto. A quasi-manifesto is a manifesto that meets all but one of the criteria. Coders noted whether each manifesto contained the following twelve categories of common just war claims: (1) enforcement of inheritance laws, succession rules and other hereditary rights; (2) self-defense or repelling aggression; (3) balance of power concerns; (4) declaration of independence; (5) tortious wrongs; (6) collection of debts; (7) protection of trade interests; (8) protection of diplomatic relations; (9) humanitarian considerations; (10) religious claims; (11) violation of a treaty obligation; and (12) other reasons. Coders also noted the manifesto’s primary justification and whether the manifesto made any reference to the law of war or the law of nations. The files associated with the war manifestos data set can be obtained via permalink by clicking on the title of the manifesto. Files are intended for educational and non-commercial use only. Every effort has been made to give copyright credit where available. Please contact us with any questions or concerns. We also invite users of the database to notify us if they locate any manifestos that are not already included in the database. We will update the data set whenever we receive new materials. This data set is hosted by the Yale Law School Library. Questions about the data set may be emailed to Professor Oona Hathaway at oona.hathaway at yale.edu. 1710 Turkish manifesto against His Majesty the Csar as delivered in Vienna and reported in the newspapers 1 Ottoman Empire Russian Empire Russo-Turkish War (1710-11)/"Pruth River Campaign"